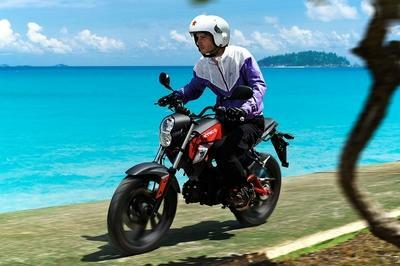 The 2013 Cagiva Raptor shares many common elements with its bigger siblings, namely the V-Raptor and X-Raptor. Thereby the style used for the front headlamp, passenger seat and the handlebars is borrowed from the V-Raptor, while the front fender and the license plate holder are derived from the X-Raptor. 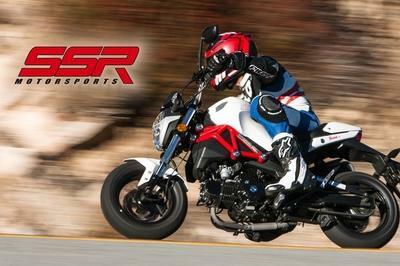 The 2013 model also comes with an improved exhaust system and a new linkage for the rear suspension. Talking about suspension, the Raptor 125’s chassis consists of a front powerful 40 mm inverted fork and a rear Sachs shock absorber with adjustable pre-load. The stopping power is assured by the Brembo Serie Oro braking system made up of a front 2-piston caliper that works on a 320mm front disc and a rear 230mm rear disc which features tangential slots. At the heart of the 2013 Cagiva Raptor 125 beats a 124.60 ccm (7.60 cubic inches) engine which puts out 14.75 HP (10.8 kW) at 9000 RPM and 14.00 Nm (1.4 kgf-m or 10.3 ft.lbs) of torque at 8250 RPM. Hit the jump for more information on the 2013 Cagiva Raptor 125. An evolution from the stylistical and technical base of the planet, the new 125 Raptor owes its name to the introduction of design concepts derived from its bigger sisters, like the front headlamp, the new redesigned passenger seat, and the V-Raptor’s handlebars. New is also the front fender characterized by a smoother profile and the license plate holder derived from the X-Raptor. Technically, the 125 Raptor receives a new exhaust system having an extractable silencer and a new linkage for the rear suspension that gives a weight distribution more concentrated to the front end. Aesthetically, the 125 Raptor differentiates itself from the previous Planet by the following improvements: new front fender, seat, handlebar, handle grips, instrumentation support, license plate holder, new frame coloured black, wheels coloured black, fuel tank protection coloured black, Raptor and celtic logos. The Raptor 125 is characterized by a highly sophisticated frame boasting technical solutions inherited from its big sisters. One example is seen in its rear suspension, equipped with progressive linkage with a Sachs shock absorber featuring spring pre-loading adjustment. One characteristic of Cagiva’s production of low-powered bikes is a petcock that operates the reserve fuel supply, handy to use and perfectly in harmony with the Raptor’s design . The value of the Raptor 125’s chassis is enhanced by being endowed with absolute quality. Proof is found in the powerful 40 mm inverted fork on the forecarriage, as well as in the rear Sachs shock absorber with adjustable pre-load. The picture is completed with the Brembo Serie Oro braking system made up of a 2-piston caliper that works on a 320mm front disc, whereas the 230mm rear disc features tangential slots. 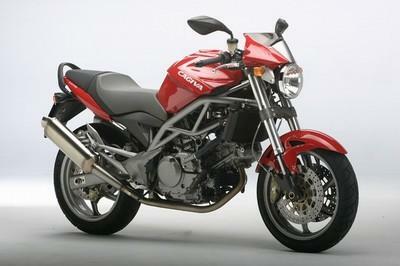 The tank is the main element of the Cagiva Raptor’s design. Its surface, with its complex volumes reaching forward to the front wheel, is an expression of dynamism and slenderness. Made of plastic polymers, the tank has a protective bulkhead on the back that gives emphasis to its elliptical flow. A compartment the right size to contain a jet helmet is concealed beneath it. The round headlamp is a must on a naked. The Raptor 125 is certainly no exception to this rule. Its head lamp is sustained by two supports painted the same colour as the body. The instrument is mounted inside a chrome ring of rare elegance, making the front view even more attractive. The handlebar also contributes to the bike’s aesthetic appeal. 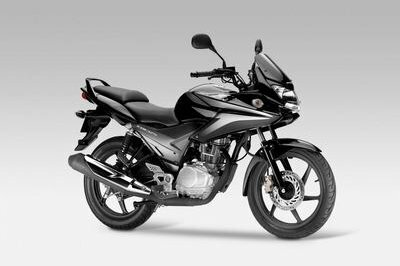 With its flat shape, it gives this extremely elegant bike a sporty look as well. The Raptor 125 is sized to be comfortable when being ridden by a twosome, too. That is the merit of a generous, well-shaped saddle, which is also suited to being used for touring over demanding stretches of road. Moreover, as proof of the care devoted to making the passenger comfortable, the Raptor 125 has convenient handles inserted in the frame. They offer a secure grip and fit in perfectly well with the overall styling of the vehicle . The Raptor 125 is a pure naked, and as such is a motorcycle that allows the rider to take total control of it. 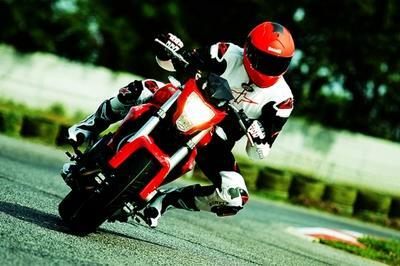 That is a result achieved thanks to its central driving position, where the rider’s posture has been studied so as to get maximum communicability with the bike. Contributing to this is the handlebar specially designed so that the weight is put on the forecarriage in order to get maximum driving sensitivity in return. The central instrument panel with its white face is gratifying for the rider, too. Its many indicator lamps provide the rider with all the information he needs for driving safely . Electrical 12 V - 9 Ah battery.